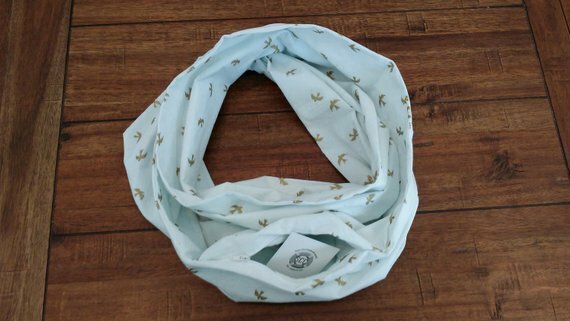 Cotton infinity scarf with hidden zipper pocket good for stashing your wallet or phone when you don’t want to carry a purse or don’t have pockets; great for travelling! Scarves are 32″ long when lain flat, and about 10″ wide. Pockets are approximately 9″ wide by 7″ deep with a 7″ zipper opening. Scarves are produced in a home with dogs, all items are washed and immediately packaged for shipping when completed.